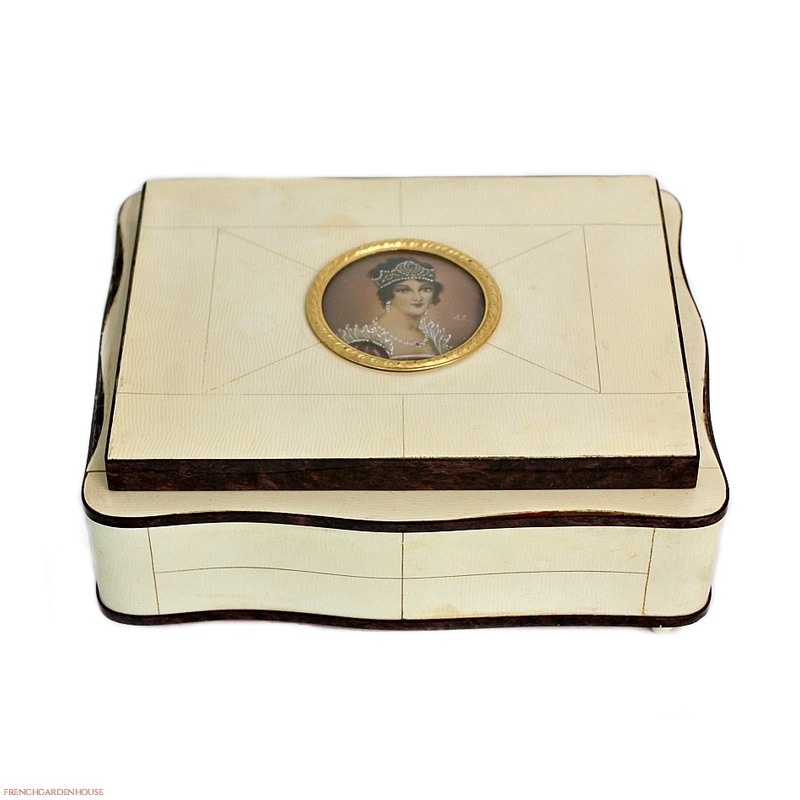 Superb French Jewelry Box, made of French Ivory, or celluloid, with a gorgeous hand painted portrait of Josephine, wife of Napoleon Bonaparte. 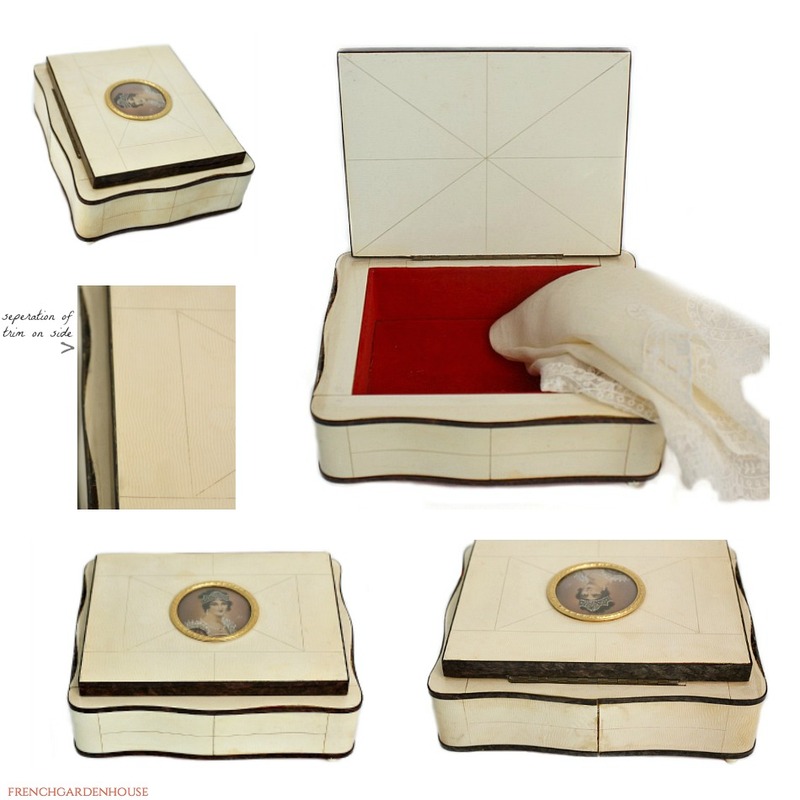 Set in a circular gilt ormolu frame, with a domed glass covering, the portrait is signed with the initials of the artist. The Empress is beautifully dressed in lace, and wears a stunning diamond tiara, earrings and necklace worthy of her elevated social position. 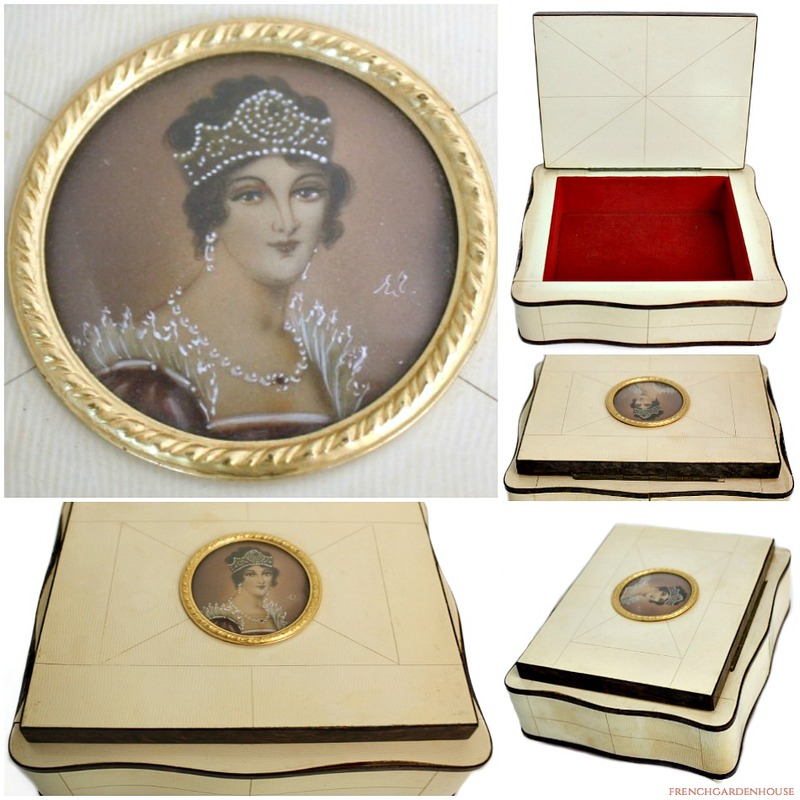 Oh, what a delightful treasure this is, to display on your vanity, to hold your diamonds and pearls, or to add to your collection of antique boxes. 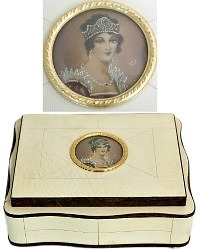 There are four petite feet, the box itself is covered with celluloid pieces in a geometric pattern, and embellished with faux tortoiseshell trim. Lined in deep red velvet, to gently nestle your luxury gems inside. There is some aging and discoloration after decades, this box is considered to be in good condition for the genre. On one side, you can see where the strip of darker trim has pulled away from the scalloped side. A rare to find addition to your collection, to display just as the wonderful decorative piece it is. Measures 6~1/2" x 5~1/4" x 3"h.